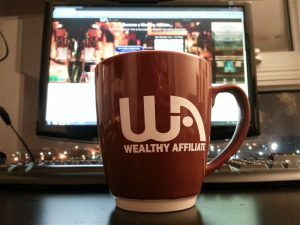 In this review, I discuss the pros and cons of joining Wealthy Affiliate [WA], including free vs. premium and the main services and benefits. This information is based on my own experience as a current and long-time member. Does WA teach a viable online business model that works in 2018, and will it continue to work into the future? Today Wealthy Affiliate is an active global affiliate business training, education and resource platform. If your goal is to learn how to make legitimate income online through your own website, this may be the right platform for you. If you are searching for a place where you can get started free to learn how to create income online, you’ve found it. But there is some serious learning to do first. The training starts with free lessons on the ‘how to’ of affiliate marketing for beginners. They give you tools, including free hosting, and teach you how to set up your own website. Sure, it’s going to be a beginner website, but this is a great way to get rolling at no cost and no risk. Watch my video here as I create a website in a few minutes. For anyone expecting fast money, forget it. For anyone willing to learn how to generate income from the internet, it is worth a closer look. The answer is simple: learn the ropes! That’s what the Wealthy Affiliate training platform is all about. Trying to create income online by yourself can be overwhelming at times. I have seen firsthand spectacular successes, modest ones, and some not at all. It is easy to spot the pattern. Those who fail start out with unrealistic expectations and want fast money. They tend to quit the moment they realize it won’t happen fast. Wealthy Affiliate is not a biz op; it is not a get rich quick scheme; it is an education and community platform. Members are encouraged to build a website based on their own interests or passions. People from all walks of life share their successes. You will see members post titles such as “Made 13 Laptop Sales This Month”, “$10K Per Month in 3 years”, “made 257 Amazon sales overnight”, “How I Earned $740 Thinking Outside the Box” and so on. Members credit WA for teaching them success, proving that the business model as taught works for those who apply what they learn. Some members report on each step of their journey, while others share how they achieved long term success. The real question is: Will you be one of them? The time it takes to create income in the online space varies with the individual. The first 3 months of trainng focuses on laying a strong foundation for your business. A few new members arrive with faulty notions of making easy money. Co-Founder Kyle explains: “you cannot expect to build a skyscraper on a muddy foundation”. WA gives you the knowledge and support every step of the way. Success is up to you. The reward comes when you use what you learn to turn your goals into a thriving business in any niche of your choice. The WA affiliate program is an optional income stream. …Live Chat, Live Classes, Live Interaction, and Live Expert Help are all big components of your educational experience at Wealthy Affiliate. You can also work from the archived libraries of educational webinars and tutorials. It is entirely up to you. The course includes step by step training in affiliate marketing, website creation, keywords, search engine optimization, social media and internet marketing topics. Fast help can be found in the community, including live chat. Suitable for total beginners and experienced marketers. The community interacts on a social and education basis where like-minded people are building a better future for themselves and their loved ones. Activities include using the website and comment feedback systems, asking and answering questions, 24/7chat, private messaging, posting and commenting on community blogs. Site builder, Jaaxy keyword tool, image library, site content facility for writing and publishing content to your website, free state of art hosting, free SSL certificates, buy and register Domains, and Premium support. The affiliate program is entirely optional. Starter free members can earn commissions at half the rate of Premium members. All members have the option to monetize their websites in any affiliate niche of their choice. The platform is suitable for people wanting to learn how to create an online business. It caters to beginners and advanced. They also teach how to take an existing business to the next level. All training is in English. If you enjoy helping others, you will enjoy participating in the community. If you need help, the community is there to lend you a hand. Post a question and you will likely receive an answer in a few minutes. If the goal is to build an income producing website, this is for you. If progress until now has left you wanting more, this could be your solution. By the time you finish the free training, you will have a new website up. You will have a plan of action for what you need to do to make money with it. If you are serious and want to go the distance in your business, at some point you will want to consider going Premium. I say this because I have paid a lot of dollars to so-called gurus and have completed several online training programs. I learned something each time, for sure, but in the end they left me hanging without ongoing support or direction after I paid my money. That is simply not so at Wealthy Affiliate. I want to be totally transparent: The scope of training and support in the free membership is limited. The Starter program is to help members do exactly that, get started. However, the premium support is reliable and prompt. Premium members have access to the community and chat 24/7 – there is always someone around who can help, often within a few minutes. Premium members have access to a live weekly video class. These are also available from the archive. Those of us who follow Jay’s training (he is the official WA trainer, username: magistudios) would agree that his golden nuggets of knowledge are invaluable and not to be missed. If you can follow directions, be consistent and take action, you can succeed. People who quit as soon as they hit a bump in the road will not succeed. Those who use failures as lessons for success can and will make it. If you expect to make fast money, this is not for you. If you want to build a sustainable long term business, you will need to follow the training and take action. Co-owners Carson and Kyle started their partnership in 2005 after graduating from college. They shared a common interest in internet marketing and business development. Each successful, they realized they could do more by joining forces. 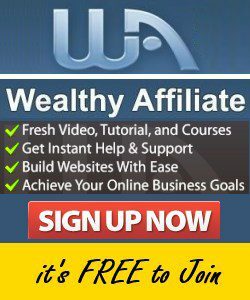 Wealthy Affiliate was born! Under their creative vision, the site has continued to prosper and grow. They continue to add value, quality services and reliable support. The Open Education Project, as they like to call it, has evolved over the years. It has become a thriving community and training facility. Anyone seeking to start and build a successful online business can benefit. No program or service is perfect. If it were, everyone would be in it and there would be nowhere else to go. Learning and mastering new skills can be overwhelming. No one is holding a big stick over anyone to do anything. It is important to work at one’s own pace and comfort level. Participation can be fun and informative but also distracting. Effective time management is necessary. I am comfortable with recommending this training and education platform to my family and close friends. It is free to join and get started, (except for a few countries where only Premium accounts are available). New members have access to Premium benefits during the first 7 days, after which the account reverts to the free Starter level. One can stay a free member for as long as desired. Upgrading is optional. Members who want more may decide to go Premium within the first week. Others stay on at the Starter level with ongoing access to the free parts of the platform. That includes 2 websites and free hosting, plus 1,000+ tutorials prepared by members. The annual membership is $359 – a big savings compared to the monthly rate. One can upgrade to a yearly subscription at any time with credit given for the payments made up to that point. Please read the terms carefully: there are no refunds on the yearly membership. See sections 4.2 and 4.3 of the terms and conditions. A common question is “Can I start free and make money to upgrade to Premium”? Yes! You can earn while you learn. Free members can create 2 websites to start their online business journey. View the Free vs Premium Comparison Chart. Will There Be Added Costs? A private message system is available for premium members, but it is for internal use only. WA does not supply an autoresponder tool for external email list building. However, training is available and both free and paid services are well discussed in the community. 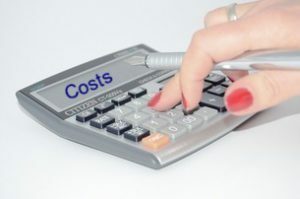 Another potential expense is advertising, which can burn a hole in the budget in the blink of an eye. The training focuses on free methods. These include organic search engine ranking, quality content building and social media sharing. Premium membership includes hosting for 25 owned domains plus 25 free Siterubix sites. For Premium members, having an owned domain is optional, though recommended. Domain names are available to buy directly from WA Site Domains or from any other Domain Registrar of your choice. The cost to buy a registered domain through WA is $13.99 US and includes privacy protection and more. Unlike at other domain registrars, they do not increase the renewal price. You can expect the same price for as long as you own your domain. WA is a spam-free, safe environment. No hype. Free hosting is included. Premiums get a lot more. You choose what direction to take your business. One upgrade offer. Won’t be bugged with up-sells. Continuously updated and comprehensive training. Potential to earn while you learn, create and grow. If you don’t like learning, this may not be your thing. Information overload is possible but you have total control. Free members cannot host owned domains. Engaging in the community is fun but can be distracting. Premiums cannot downgrade or revert to free, but can pause account. Free members cannot access Premium content after initial 7 days. People sometimes ask why I continue my membership. “You must have done all the training by now”, one person said. The answer is simple. One can never run out of learning. The site is updated daily with new content and provides a safe and scam-free environment. Plus the 24-hour support and networking is priceless for anyone who is marketing online. There are no “shortcuts to the learning curve” for creating income online. The internet landscape is ever changing. New affiliate marketers will use the latest technologies and marketing methods. The owners have their finger on the pulse with what is working today and what will work tomorrow. I participate regularly in the community and classrooms to help new members. This enables me to witness directly that the owners operate WA with fairness and integrity. As with most online services, you can find negative reviews and naysayers, mostly from competitors or people who have never truly tried the full paid service, or people who judge success by a different standard than yours. It’s a fact of life on the world wide web. In these days of ‘fake’ news, my response is this: Anyone can join and stay free for as long as they wish and reach their own conclusions. The platform is well organized. Thousands of members are active in the community. Despite the high volume of daily activity, the site runs like a well-oiled machine. This is no small feat. More than 1 million members, and counting, have walked through the doors since 2005. If your goal is to start and grow your online business, Wealthy Affiliate will take you the distance. All you need is a computer and an internet connection and be able to follow and act upon the training. Our community and I will be there to assist you. Click on the image and join us today! Note: Wealthy Affiliate is available for anyone to join from 193 countries. The exception is that the FREE account is NOT available in: Bangladesh, Egypt, India, Kenya, Nigeria, Pakistan, Philippines, Vietnam, Morocco. If from one of these countries, you are welcome to join as a Premium member. Subscription can be cancelled at any time. Select the Premium tab at the top of the signup form. You have a well thought out and comprehensive review of WA here. Thank you for providing this helpful information. Anyone wanting to better themselves by working online ought to check it out. There is no risk whatsoever with the free Starter membership. I think anyone who is seriously committed to creating an online business will probably at some point want to upgrade to Premium to gain the full advantage and benefits of the training. As you say in the review, there is no pressure to upgrade ever, so it is up to each individual to decide what is best for them. How do free members earn with the program? Glenda, thank you for reading the review. I appreciate your visit and feedback. To answer your question, free members can earn in one of two ways. If they decide to create a niche affiliate site, of course they can earn directly through the affiliate links on their website. For example, many of our members are Amazon affiliates, or affiliates of the thousands of affiliate programs available out there and earn commissions directly from the company that offers the affiliate program. The other way free members earn is by participating in the WA Affiliate program, which is an in-house program. Free Starter members can earn commissions at half the rate of Premium members when their referrals upgrade to premium. Glenda, I enjoyed visiting your website – truly inspiring! I left you a comment. All the best. Again, thanks for dropping by. a free membership. Can free members stay on after the first 7 days? I wish you success and appreciate very much for your assistance, Jude. Thanks Zhanna. I appreciate your feedback. Yes, Wealthy Affiliate is totally free to join and to stay on free for as long as anyone wishes. The ‘7 day trial’ refers to trying out the Premium Benefits. There is no expiry date for the free Starter Membership. Free members can access tons of tutorials and training videos. They can continue to build up to 2 free website and hosting is free and included at the Starter level. Best of all, free members can earn too. Thanks for stopping by Zhanna. Thank you for providing this useful information. It will help my decision making. P.S. I have just joined WA (free trial so far). Looking forward to checking it out. the experience as much as I do. Thanks for visiting and taking the time to read this post and other content. Glad you enjoyed it. I appreciate your feedback. I want to join this affiliate marketing program but I feel it may overwhelm me. I mean with all the things and posts to read about people’s success stories and how they achieved it differently might confuse me. Is there a way I can get directly to the earning money part without being distracted? I hear you, Dave. Great question. It’s easy to get distracted with so much going on. We can control the level of our activity in the community. It boils down to time management. We can reduce notifications in our emails, or turn them off completely. I advise my referrals that their first priority should be to follow the training and write content for their websites. Only after that to set aside a fixed time to be in the community. It doesn’t take long to learn to be selective about whose posts one does not want to miss. I have set up filters in my Gmail account to receive notifications only of the activity of my referrals and selected members I follow. See training for that HERE. (you will be able to close the popup that shows up and continue on). I’ve been an affiliate marketer since 1999 and have seen many training platforms just fizzle out. But Wealthy Affiliate, on the other hand, is in a totally different league to every other platform because the training is regularly updated, tools are provided that actually work in the modern marketing era, and the community is so active. 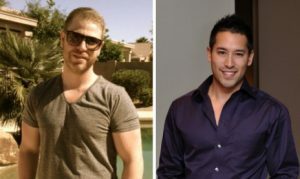 So KUDOS to both Kyle and Carson for making WA the ultimate place to be for building a successful business on the net. Everything you need fo success is thrown into the pot, and it’s especially amazing just how worthwhile it is to become a premium member. Neil, nice to see you. I started marketing online about two years after you. Couldn’t agree with you more about many of the other training platforms that have since hit the dust. I am actually grateful for my past experiences because that is why I could see the value of what was in front of me at WA. I know that many bloggers use affiliate marketing to monetize in the beginning and I am planning on doing that for my blog. However, I also found out that getting traffic is one of the more difficult tasks and it can sometimes take a very long time (months to years) to achieve a ‘good’ level of traffic. How can the Wealthy Affiliate program help us in this area? Thanks. The training emphasizes keyword research to gain organic traffic. I have not focused on keywords as much as I should have. I find that email marketing works well in the internet marketing niche. A subscriber is already interested, therefore more targeted to what I recommend. Google does not own my subscribers. If they change search rankings, my business is less affected than someone who relies mostly on search engine traffic. We’ve heard stories about businesses being wiped out because Google changed its ranking factors. Nevertheless, the WA training has convinced me to work on improving my keyword search results. In the coming months I intend to make good use of the Jaaxy keyword tool. I explain my approach to boosting traffic in this post. I include there a couple of links to tutorials by members who provide tips on getting traffic. The certificate course has many lessons on techniques for traffic generation. I also recommend Kyle’s Diamond Traffic training series. Thank you for taking the time to read my post and asking a great question. We all know that no traffic = no money. I hope I have given you a few useful pointers. Thank you for this detailed article Jude! This certainly provides all the information I need to make an informed decision. I agree with the quote that you can’t build a skyscraper on a muddy foundation. The program seems to have everything that is needed to build a strong foundation for long term success. Thank you for sharing! Hello Jude. Thanks for the informative review of what appears to be a superb training platform. I have tried to achieve success online several times, but did not have any success. I appreciate that you take out of something what you put into it, so is it fair to say that if you follow all the training provided, that you are more likely to be successful. For sure, Daniel, one has to put in time and effort. It helps to enjoy learning and conquering challenges. Thank you for visiting my site and taking the time to leave a comment. I hope that your future online endeavors will bring you much success. Let me know if I can help you with anything. 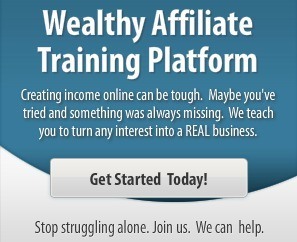 Wealthy Affiliate is full of nothing but lies! You are getting ripped off, don’t you realize that…Damn I feel sorry for you. Man… I truly hope you get wise to their BS! They also have you pay for a year’s membership after you are paying monthly, by sending you email after email, and than after 3 months, they revoke your privileges, so you pay for a year to get only 3 months, unless you are making BIG money for the company, they might let you stay on! That’s why they have the NO refund policy! They promote bullying by allowing it to happen, they don’t respond back, even when you ask them nicely to put a stop to the person cyber bullying! They use a little spam button the bully or anyone can use to click on 10 times on comments or posts if they don’t like you or a post or comment, even if it’s NOT spam! A button does the work for them! All you need is 10 spam clicks, according to Carson one of the owners, and your privileges are revoked! Than they don’t email you back so you can find out why! They are under investigation at the moment, so just a friendly warning! – Anyone can opt-out of receiving emails and manage notifications in the back office. – No one “makes” anyone upgrade. Going yearly is a savings – they let people know. – The refund policy is explained in the terms and conditions before anyone joins. If you paid for a yearly and the renewal date has not been reached yet, chances are that your membership is still active. Usually only writing access in the community is revoked, not the entire membership account. You should be able to work on your business, access your website and follow the training. 2. Make sure to give them your username and WA email address. 3. Ask for privileges to be restored. 4. Be polite. Don’t demand, don’t accuse, don’t rant and rave…lol. I have seen such situations arise from misunderstandings. The filters to keep spam out of the community is a positive thing that most members appreciate. With thousands of people active daily in the community, they require a system to monitor it. Yes, 10 complaints – writing access is revoked. If there was a misunderstanding, unfair complaints, or a system error, it can be resolved by following the suggestion I have given you above. Your wealthy-affiliate-business-model blog is perfect. Everything you say about Wealthy Affiliate is true and accurate. When I read the comment from You Know, I was shocked. Your reply was correct and to the point. Hopefully, he/she cools down and does what you suggest or if in fact a scammer, stays away. In my short time with WA I have gone from absolute “affiliate training for dummies” to building a rapidly growing online business. It is fun and addictive, the community collaboration is awesome. This is definitely the best affiliate market training program available and worth staying with as a member well after the training is complete. Ed, I’m glad that you are benefiting from the training. We do indeed have an ‘awesome’ community. I am grateful that we have controls in place to maintain a safe environment for everyone. Thanks so much for stopping by and sharing your experience with us. Congrats on your progress! Wishing you continued success with your online business. I’m glad you enjoyed reading the review, Howard. Thank you for visiting and taking the time to post your feedback. Hello, you have shared valuable information in your article and explained about the course beautifully. I will also look after the course as I am stuck up on my blog. I am not able to increase the target audience in my niche. 1. Learn what is important to your audience. You can find out by visiting where they hang out online, such as in social media groups and forums. 2. Check out product reviews from real customers in your niche to see what words they use to describe their experience and include those words on your site. 3. Use buyer keywords in your written content. For example, ‘buy best books for entrepreneurs’ is a keyword phrase someone could use when looking to buy such a product. I hope the above tips help to point you in the right direction. I appreciate your stopping by and sharing your experience. If you have any questions, let me know. I’ll be glad to help. Like your detailed review! It covers everything anyone would need to know about the program and training available there. By the way, I also viewed your tutorial on WordPress Menus. That is an important part of any website and proper creation helps a lot. Your tutorials can help newbies and more advanced users of WordPress to create the proper menu and learn about online marketing. Very good work. Keep it up, and wish you success with your blog. Thank you for visiting my site and your feedback on the review and other parts of the site. I appreciate your kind words.